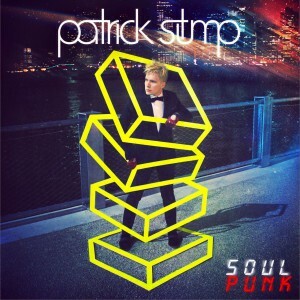 Soul Punk is the debut solo studio album by American singer-songwriter Patrick Stump, the lead vocalist, guitarist and composer of Fall Out Boy. It was released in the United States on October 18, 2011 through Island Records, with varying release dates in other regions. Stump's solo project was officially announced in January 2010 and he later revealed his first album's title to be Soul Punk. 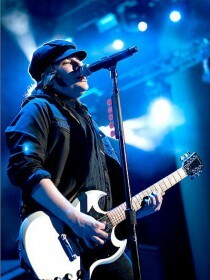 It is the first major musical project undertaken by Stump since Fall Out Boy's hiatus in late 2009. The album features no guest artists (besides a bonus remix track with guest vocals from Lupe Fiasco), and Stump wrote all the tracks and played all the instruments on the album, as well as handling production. Stump has been often compared to Michael Jackson, whom he has cited as a major influence. He has commented on the album being "90% metaphors." To promote Soul Punk, Stump has toured the U.S. twice and played dates in Europe, opened for Bruno Mars and Janelle Monae, played at Chicago and Japan music festivals, and is supporting Panic! at the Disco on their month-long U.S. fall tour. He is also doing extensive radio tours to support his record. Rolling Stone included Soul Punk in their "Fall Music Preview: The Season's Hottest Albums" and Spin listed it in their "30 Must-Hear Albums of 2011." The album has been a critical success, receiving extremely positive reviews from most music critics. Annie Zaleski, writing for Alternative Press, in a positive four-star out of five review, called the album a "brave, bold statement" and said the album's "pop sensibilities, clever phrasing and tight grooves will please fans." Alter The Press! described it as a "beautiful blend of 80s inspired electro R'n'B with a refreshing moral undercurrent." Chris Droney of Glasswerk was also positive of the album, writing that Soul Punk "hit every expectation with a deafening wallop" and that it deserves "more recognition than most" of the chart music present today. Soul Punk has had tentative release dates delayed and unconfirmed dates on the internet. Stump originally completed the album in 2010 and had a tentative February 2011 release date but re-did the finished album after he came up with a song called "This City". For the album's delay, in place of it is a digital EP, Truant Wave, containing six songs, three of which he collaborated with other artists, released on February 22, 2011 on iTunes. On May 9, 2011 Stump uploaded "Explode", a track from the upcoming record to YouTube. A song remix of a Soul Punk track titled "This City" featuring Lupe Fiasco was uploaded to YouTube and was later released to iTunes and other online outlets on July 26 as the album's first single. Its music video was premiered on Vevo on September 20. Stump revealed the album cover art on September 7, again done by Aakash Nihalani, whom previously did the art for Truant Wave. Soul Punk will also be available as a deluxe edition with additional tracks. The remix of "This City" is included as a bonus track on both album versions. iTunes' album preorders started on September 27 as well as physical CD preorders from Stump's webstore. With preorders from Stump's online store, a package with a lithograph by Roland Tamayo is available.